On Thursday, Future Islands released a brand new single called “Calliope.” The stand-alone track was released as the latest installment of the Adult Swim Singles Program, which also recently released new music from Thundercat and Knxwledge. Future Islands recorded the new single during the sessions for their 2017 album, The Far Field. The synth-heavy single features an almost EDM-like quality to the rhythm, with the song’s many layers allowing the band to make the most out of their three-instrument (keyboard, guitar, vocals) set-up. The Baltimore band will now continue their ongoing world tour, which is currently taking them across Latin America. Future Islands will travel through countries like Mexico, Argentina and Brazil before making their way to Europe in the beginning of next month. Listen to Future Island’s “Calliope” via Adult Swim here and find the band’s 2011 Daytrotter Session below. 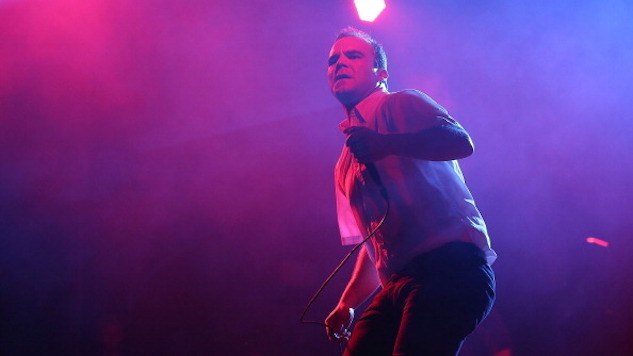 You can find Future Islands’ ongoing tour dates further down. Then, revisit the band’s 2014 live EP right here.